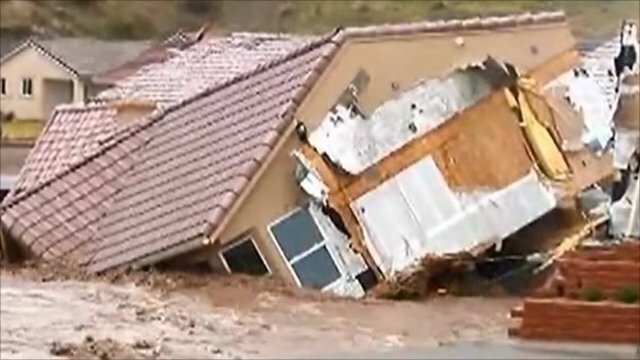 Arizona home swept away by floods Jump to media player Dramatic footage shows a house being swept away by floods in Littlefield, Arizona. 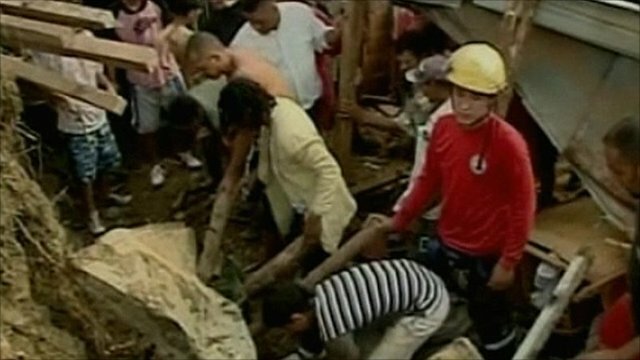 Homes buried in Colombia landslide Jump to media player A rescue operation is underway in the Colombian city of Medellin where a number of homes have been buried under tonnes of mud. Extreme weather hits parts of Australia Jump to media player People have been rescued from floods in Western Australia while summer snow has fallen in Victoria's mountains. 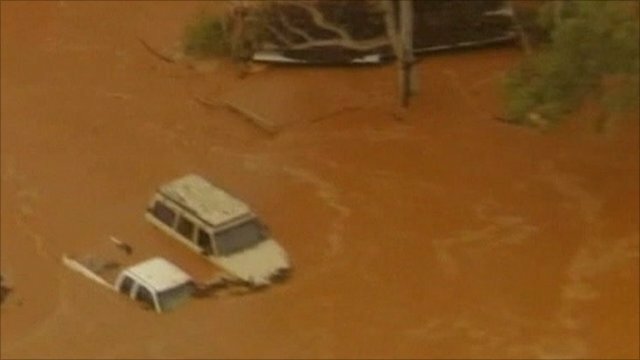 Dramatic footage shows a house being swept away by floods in Littlefield, Arizona, where heavy rains have caused widespread damage in the area. Three other empty homes in the community were also destroyed by rising waters and flood warnings are still in place. The BBC's Rachel Schofield and Simon McCoy describe the scene.